Your instance must be upgraded to RetailOps Version 2.1 and above to function properly. The Symbol LI4278 scanner is identical to the Motorola LI4278 scanner and the Zebra LI4278 scanner. 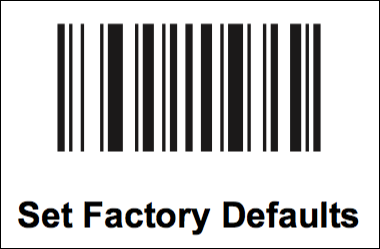 Scan this barcode to set the scan data format for your scanner. After configuration, you must pair the wireless scanner with the cradle again. 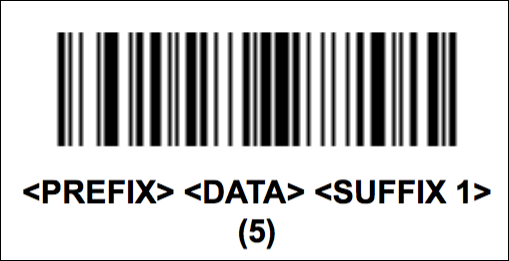 To do so, scan the pairing barcode on the cradle, which should be the cradle's serial number (S/N). In our testing, we've uncovered the following minor issues with the use of Symbol (Motorola/Zebra) LI4278 scanners. If your computer goes into Sleep mode, the cradle may deactivate at this time. When you use your computer again, you will need to pair the scanner to the cradle again.